The Highlands NC real estate spotlight is on 205 Balsam Lane this week. This lovely home boasts 4 bedrooms, 3.5 baths on a lot that is 1.32 acres in size. Nestled in the trees with great mountain views this home offers views, privacy and optional membership to the Highlands Falls Country Club. This lovely Highlands home is located at the end of a a cul-de-sac, which adds to the sense of privacy and seclusion. Highlights of the home include two duplicate master suites on the main and lower levels, and a family room on the lower level complete with a wet bar. The covered and open decks on both levels offer plenty of space to enjoy the outdoors and spectacular views. 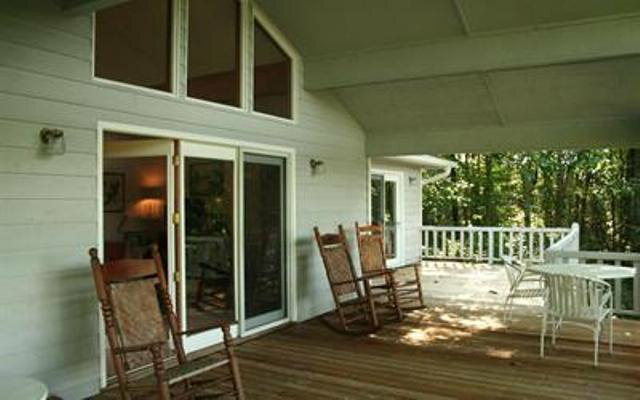 It’s a new year and if buying a home in Highlands NC is on your list this particular home is a must-see. Contact me, Lynn Kimball, today to schedule a showing of this home or any other Highlands real estate currently listed for sale. I welcome the opportunity to help you with your home search and find a property that suits your needs and your lifestyle.